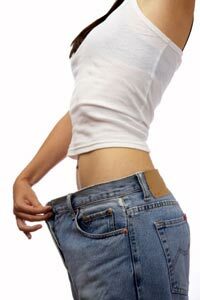 If you want to learn how to lose your belly fat, then you’ll need some steps to get you going. It is easy to get lost in the sea of information online, but by follow the steps outlined in this article, you will be pointed in the right direction. Start off right by throwing out junk food (chips, cookies, candy bars, etc.) and focus on eating foods that offer nutritional value. If you consistently eat foods high in simple sugars, you’ll develop food cravings. Your blood sugar spikes and you’re left feeling hungry afterward. This practice alone can start trimming the midsection. Do what your body was meant to do and move around. Stretch when you get up in the morning. Go for a walk after lunch and dinner. Go outside and play some games with your friends like badminton. These small daily exercises can add up and help to lose belly fat. 3. Set a goal for diet and exercise and track your progress. Most of us get excited when setting a new goal such as losing 10 lbs. The trick to keeping the enthusiasm is creating a plan on how to do it tracking your progress. If you’re going to start by eating more fruits and vegetables, write it down in a food diary, and if you eat something you’re not suppose to, write it down too. Log everything. This will keep you honest and let you know if you’re ahead or behind on meeting your goals. 4. Eat more fiber rich foods. Foods high in fiber tend to keep you feeling fuller longer, helping to ward off hunger. This is good for people wanting to lose some belly fat. Fruits and vegetables are good examples of fiber rich foods. Make sure to drink plenty of water with such foods, even though fruits and vegetables naturally contain water. 5. Spend time to relax. Stress has been shown to make people overeat, and thus, gain weight. If you spend time every day to relax the mind and body, you can help prevent this bad response. Listen to soft music while picturing a scene in your mind that makes you smile and calm. Even doing some light yoga can melt away built up stress. Losing belly fat is not always easy, but if you follow these steps, you’ll start making progress.